Table lamp with a counterweight. 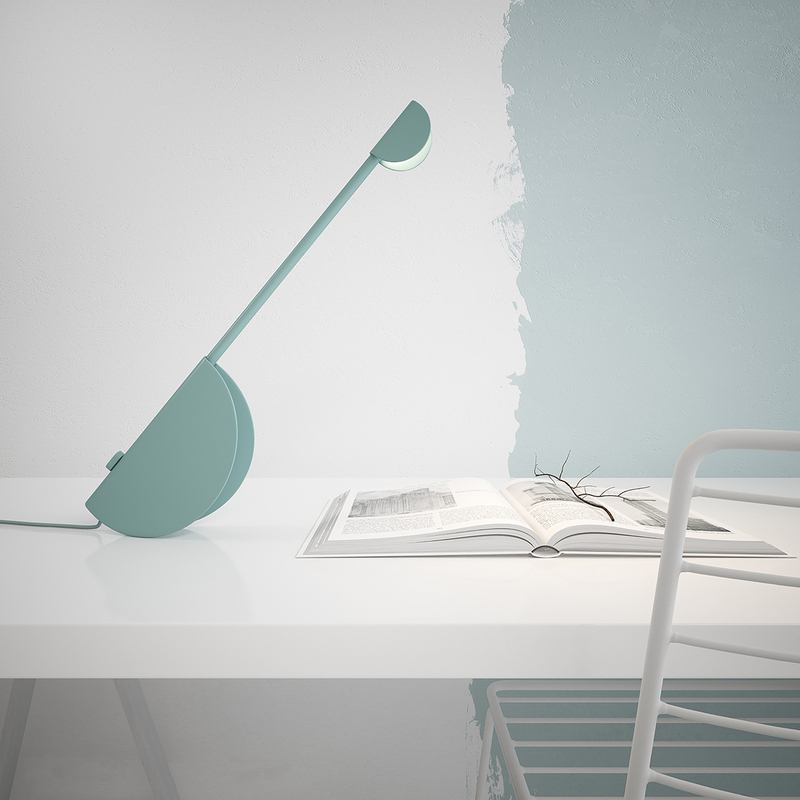 TAKO LAMP is designed for illumination of a desktop and can also be used as a reading lamp or as a bedside lamp. It is possible to change a slope angle of the lamp by changing the counterweight position by moving the sliding adjuster to the certain position and locking it. The lamp head consists of 3 bright LEDs with diffuser, a lampshade and a power button. The lamp head can be rotated for more accurately direction of the light. The body is made of aluminum and can be painted in one of 6 colors (PANTONE system).